Hosted by The Jockey Club, the breed registry for Thoroughbreds in North America, and the Latin American Racing Channel (LARC) , a distribution company that consolidates horse racing simulcasts in the United States, Europe, Australia and Latin America, the Pan American Conference brings together delegates from around the world to focus on the sport and business of Thoroughbred racing. The conference social events provide networking opportunities at some of the area’s greatest attractions. The 2017 conference covered topics such as international products for bettors, racetrack and facility design, and marketing the racetrack experience. Social events will be held at the National Museum of Natural History and the Ronald Reagan Building and International Trade Center, and the conference culminated with the running of the 142nd Preakness Stakes on Saturday, May 20, at Pimlico Race Course in Baltimore, Md. 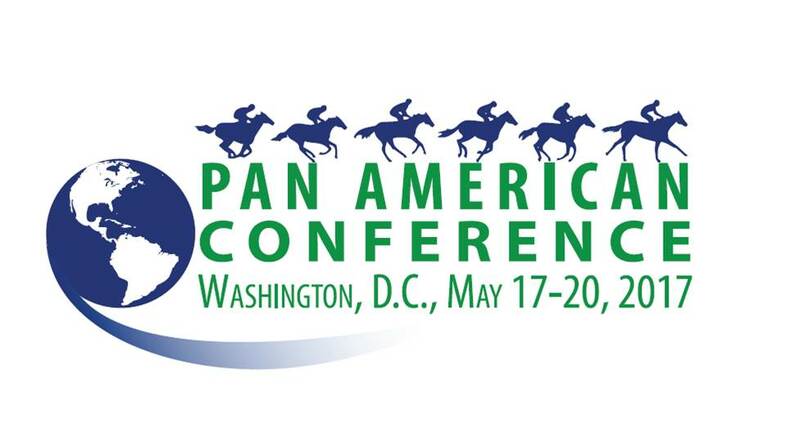 Conference sponsors include: America's Best Racing (TJC Media Ventures), Asian Racing Federation, Betfred, Breeders' Cup, Club Hípico Santiago, Daily Racing Form, Equibase, EquiLottery, FTBOA, Hipodromo Chile, HRRN, InCompass Solutions, Jockey Club del Peru (Monterrico), Keeneland, KTA-KTOB, Liberman (Global SLI), Longines, Longitude, Maryland Horse Breeders' Association, OSAF, PMU, Remington Park / Lone Star Park, Roberts Communication, SKO, The Jockey Club, The Jockey Club from Argentina, San Isidro Racetrack, The Jockey Club Information Systems, The Jockey Club Technology Services, The Stronach Group, Valparaiso Sporting Club, and Woodbine. Conference exhibitors include: CHRIMS, Coolmore America (Ashford), Duralock, Fornells, Groupe Carrus, Whipchip, KRA/Asian Racing Conference 2018, and Sportech.